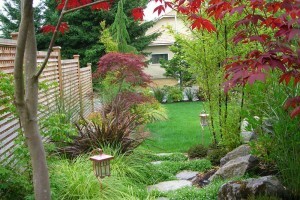 Professional landscape design is one of the best return on investment for your home. Not only do professional landscaping and landscape design add value to your home, they also can bring enormous pleasure and feelings of well-being to you, your family, and your neighbourhood. Does Landscaping Add Value to your Home? According to quotes featured on the American Society of Landscape Architects (ASLA) website, homeowners should invest 5-15 percent of the home’s value in landscaping. This percentage would ensure that you aren’t under-spending on quality and scope, which could affect resale. It’s estimated that landscaping, when done well, can increase the value of your property by 20%. The percentage has also shown to be dramatically higher in the hot Vancouver luxury real estate market. Recovery value of the landscape design improvements can provide a return on investment of 100 to 200 percent, when the house is sold! Well-designed landscapes also create outdoor sanctuaries where you can gather, think, learn, de-stress and spend time in nature. What Does Landscape Design Include? Landscape design doesn’t just include plants (also known as “softscape”) but can also include structural features like garden paths, retaining walls, lighting, fences, fire pits, swimming pools, spas and ponds. Outdoor rooms, terraces, and decks also part of good landscape design. 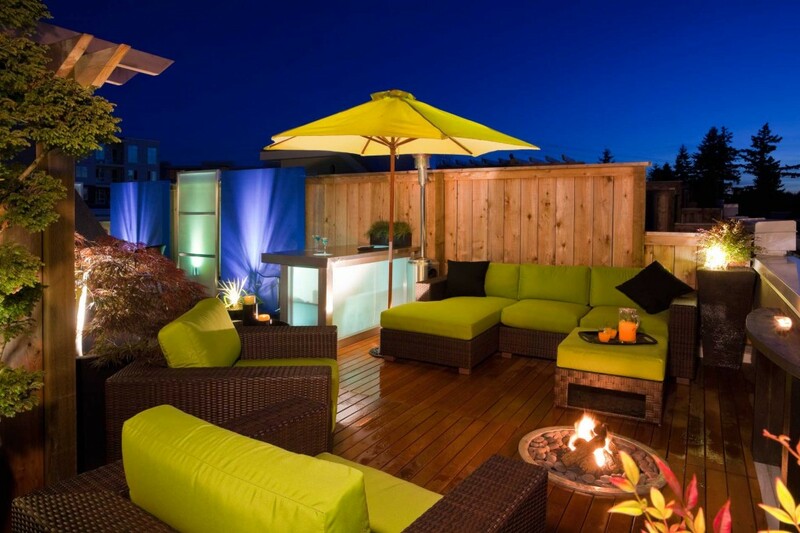 The team at Pacifica Landscape Works offers services like landscape design, project management, and installation, as well as online design (for those outside Vancouver and the lower mainland). For more on our services, see our Landscape Services page. 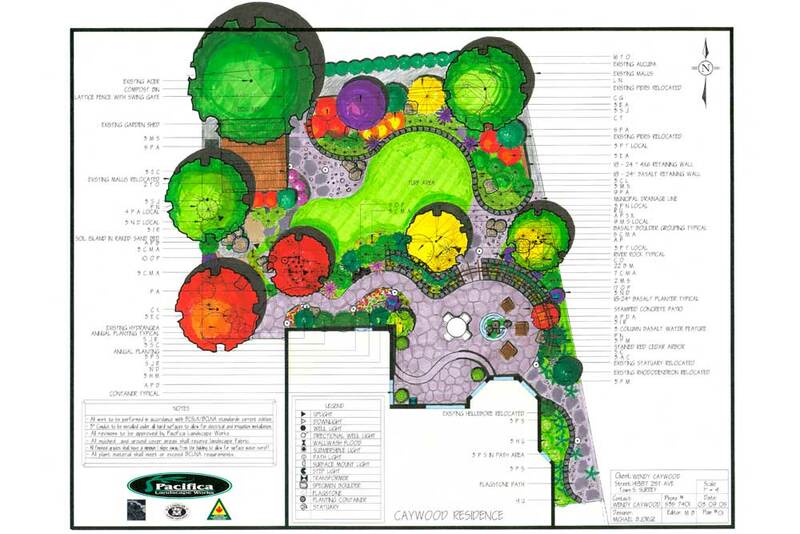 When hiring a landscape designer, go with one that has certifications in landscape installation and architecture. During their program, these professionals have studied botany, horticulture, site grading, soils, irrigation, CAD, design, and more. They also have training and experience that helps them safely and cost-effectively build permanent structures like gazebos, patios and retaining walls. While DIY is a trend in renovations, not having a professional landscape designer as part of your project can result in a piecemeal look, incorrect plant and material choices, poor installation, cost overruns (poorly planned project), and, worse: unsafe landscaping, unfinished work or lower property values. Investing time before you meet with a landscape designer – that is, looking at other landscape designs, plants, as well as landscape design websites or magazines (see our page on Houzz), can help narrow your likes, dislikes, and give you and your landscape designer a clearer vision of what can work to achieve your goals. This can save time and money during the concept phase. 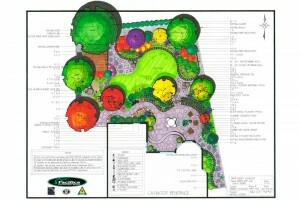 Having a list of landscape goals or challenges can also help at the initial design consultation. Landscape designers also need to know how much time you want to put into maintenance of your landscape. Plants, stone, patios, furniture, and water features have varying amounts of annual maintenance. Certain plants can be selected for less required maintenance. Example of Solution/Final Plans. Pre-planning makes projects go smoother and on budget. Problem analysis and concept generation – we meet with you to see your site and establish design objectives. Once a design package and design cost are agreed upon, creative ideas are generated in the form of landscape concept sketch which will then be presented to the client for their review and necessary revisions made if need be. CAD Design Concepts – Sketches are then input into CAD software to produce scale working drawings. If needed, further revisions can be made at this point. Solution/Final Plans – large format scale plans specifying all hard and softscape components are created. These plans can be provided to all trades associated with your project to ensure everyone has a clear understanding of the project as a whole as well as create a defined order of operations for the project. These plans function as construction documents, visualization tools, legal documents, and provide all necessary quantities and dimensions to establish an accurate budget. For more information on landscape design projects in Vancouver and the lower mainland, please contact Pacifica Landscape Works.